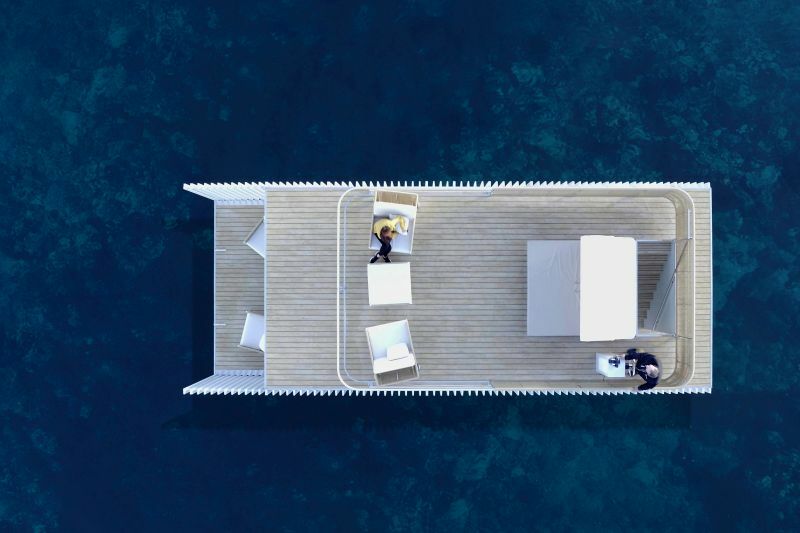 Contrived by Valencia-based architecture firm Mano de Santo in collaboration with KM ZERO Open Innovation Hub, Punta de Mar is a proposed houseboat intended for sustainable tourism. 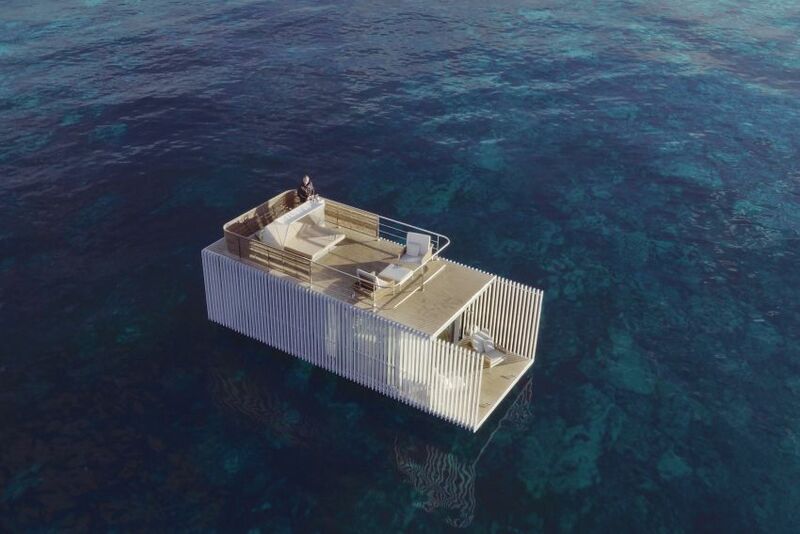 Made from natural low-impact building materials, it is meant for two people wanting privacy, comfort and 360-degree views while floating on the sea. 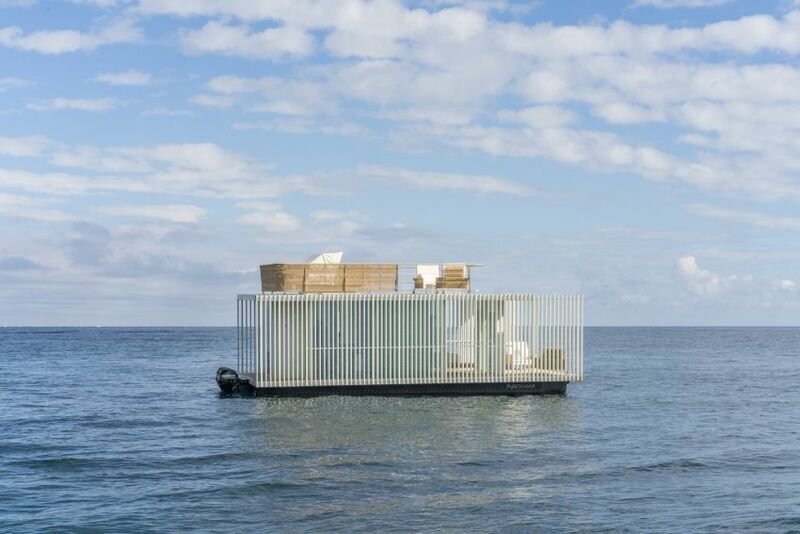 The collaborative team has designed a prototype for luxurious marine stay, which is currently installed in the Real Club Náutico de Dénia (RCND), Spain. They have created the prototype by strategically aligning with brands like Würth, Technal, Simon, Guardian Glass, and Gira. 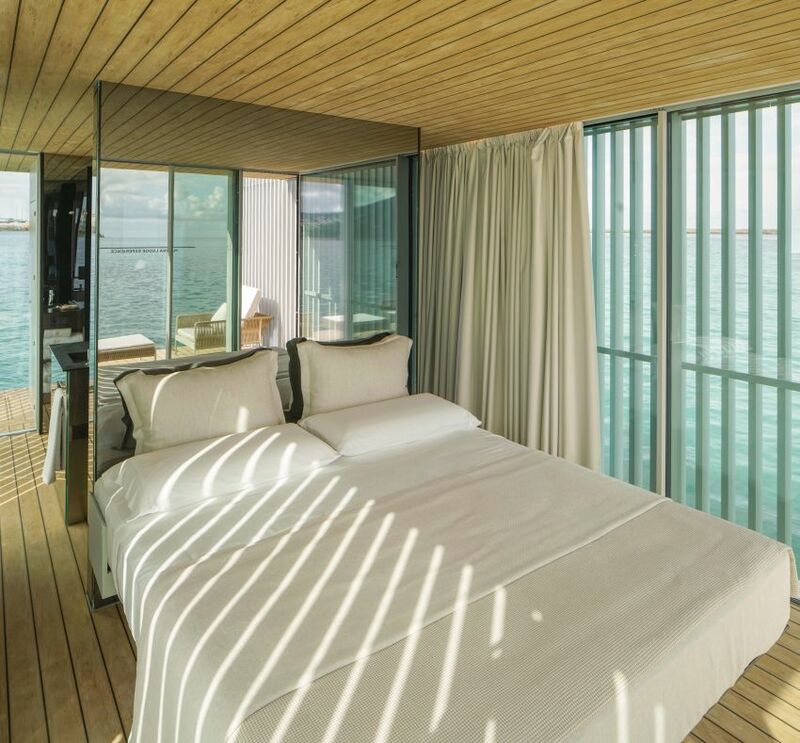 This 74-square-meter floating accommodation has two floors, with one of them measuring 40-square-meter, includes a luxury suite complete with bathroom and a private terrace with Weave furniture collection by POINT. 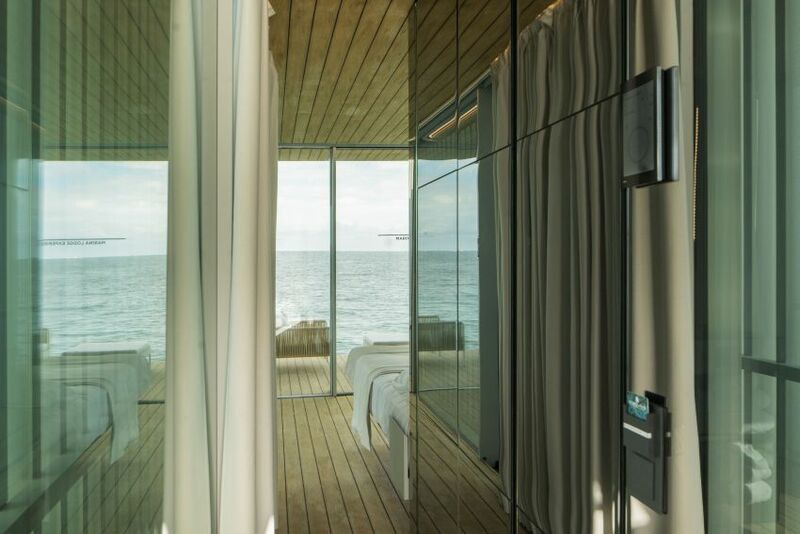 The 34-square-meter second floor is specifically designed for relaxation and comfort. Both the floors have smartphone-controlled lighting, sound, air conditioning, aromas, etc. Punta de Mar is a sustainable tourism initiative and does not generate waste because it is an installation of Plug & Go modules. In addition, it can be transported by land and towed by sea, which offers the possibility of relocating it to different places. 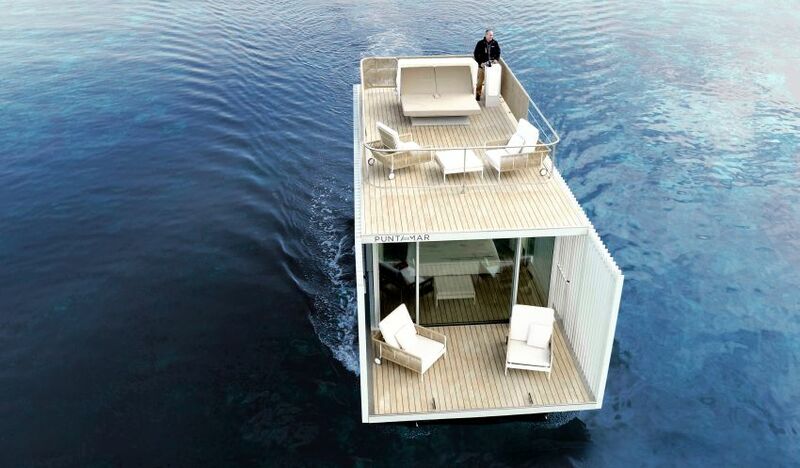 All thanks to technology and its minimalist eco-friendly design, it is a unique tourist accommodation concept. 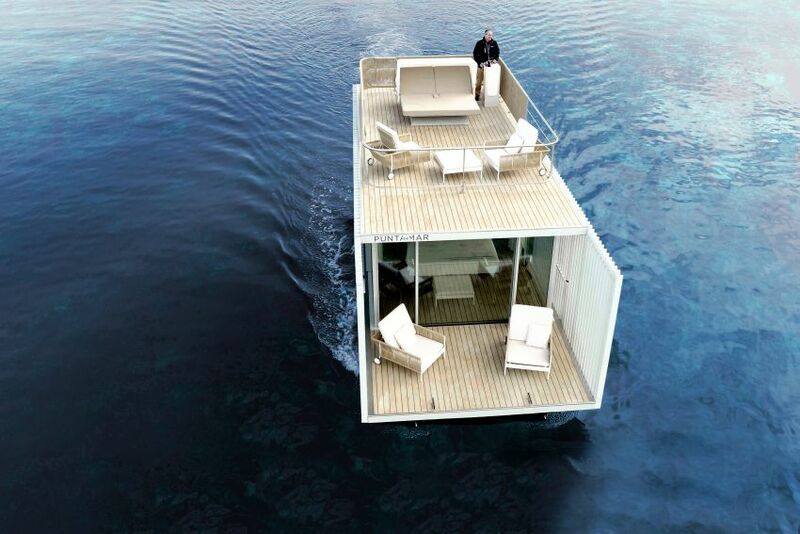 The motive of this sustainable floating accommodation is to approach the sea, take care of it, and respect it. It considers coexistence as the key element that favors relaxation, disconnection, and well-being. 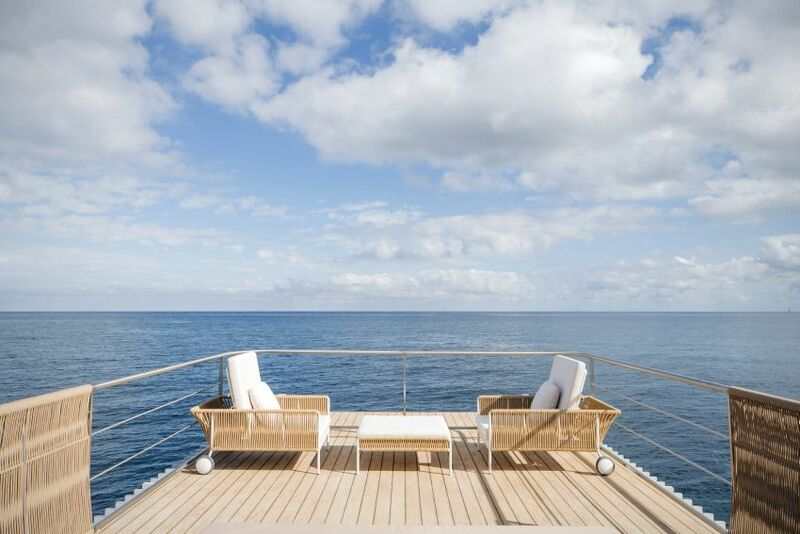 Punta de Mar is designed for anyone who wants to enjoy the experience of living in the sea from a new perspective. For those who are looking for an experience of integration with the environment, where comfort, disconnection, relaxation and well-being predominate. 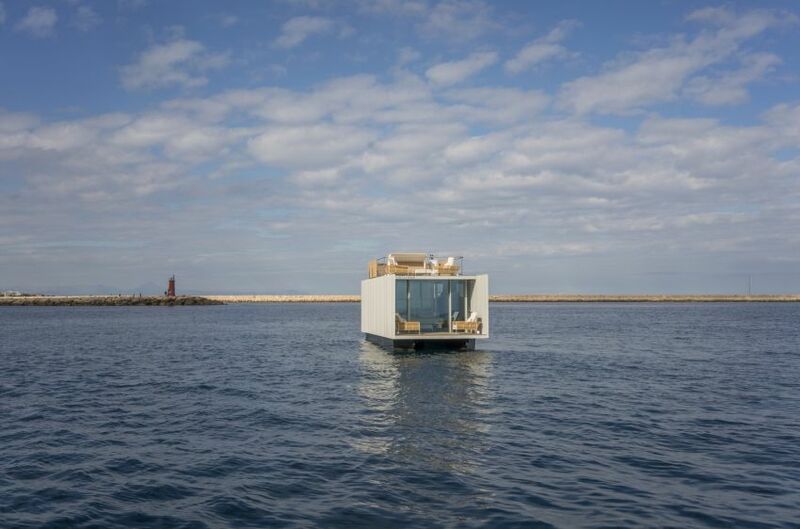 Punta de Mar houseboat will be exhibited at International Tourism Fair in Spain.